For Resorts, Pool Villas, Pool Designing Companies, Etc. 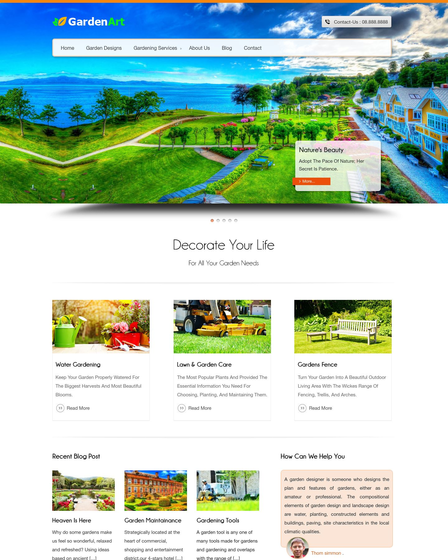 Pool And Garden Design WordPress Theme is a powerful, premium & fully responsive website template with modern & robust technology. 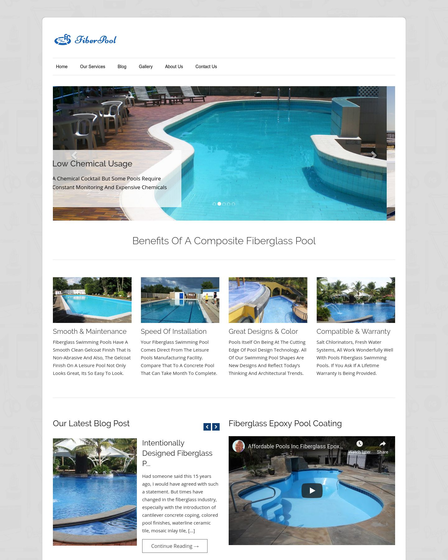 PoolPlanner website template designed for the resorts, pool designing companies, pool villas, swimming pool maintaining agencies and many others related firms. With this refined theme, pool companies & resorts can reach to a large number crowd which enables them to explicate their business with low investment. The theme is integrated with the many plugin and features through which you can search, list any items on the website. You can easily customize the menu panel as per your need and comfort. Feature Important Pool Services – Users can accommodate knowledge from the service section about your pool designing business. 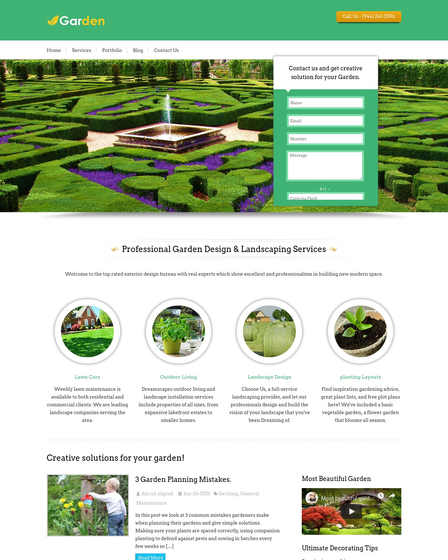 You can display your multiple services on the homepage of your website in a professional manner. Navigable Slider Pool Descriptions – The full-width screen animated slider will assist you to fault your best work in the full-size image. Allow Users To Select Website Colour – It’s a very unique and free feature of the theme by which website visitors can choose their color for the template. It can be done style switcher which reside left the portion of the theme. Publish Clients Testimonials – Customers reviews are very much important for the enhancement of the business services. Testimonials section let you do this. It also builds trust on visitors with respect to your work. Get Personalized With Social Touch – Promote your pool & garden design business on all social communities through social sharing icons. You can share your latest offers on the communities. Write Pool & Garden Preserving Blog – Creating & destroying the thing is an easy part, but to maintain and keep it fit is the very tedious task. 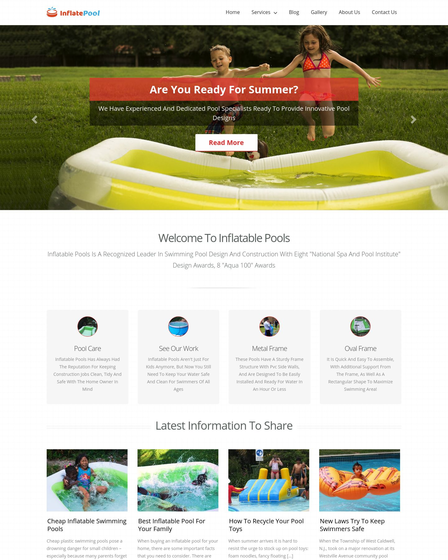 Blog section allows you to post your ideas and managing tips on pools and gardens which will flourish on the front page of the website. Introduce Yourself – With description segment of the theme, you can introduce yourself in the best manner to attract your potential clients. Update organization logo on the top left of the template.